CLOSEOUT! 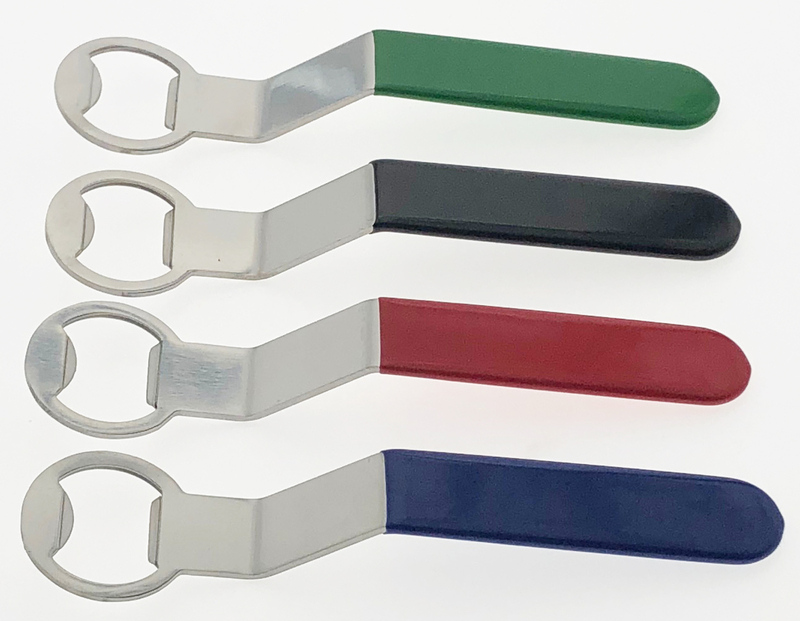 Our CROOKED BOTTLE OPENERS are available in assorted colors: BLACK, BLUE, RED, and GREEN. They measure 5.5" long with a 3/4" handle and 1 5/16" across the opener. These are made from steel and the handle colors are silicone. These are also available by specific color (Please contact our office for availability).